The Italian Table- Eating Together for Every Occasion by Chef Ron Suhanosky is a wonderful new Italian cookbook that celebrates the joy of serving delicious food to family and friends. 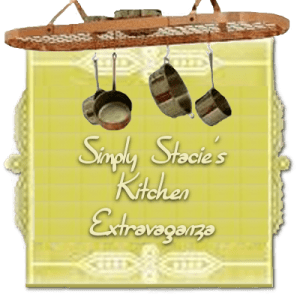 It is a treasure trove of 115 recipes for dinners that are served family-style. I was initially drawn to this cookbook because the illustrations are beautiful and inspired me to try making new dishes for my family. After making several recipes, this is one of my new favorite cookbooks because the recipes have clear, easy to follow instructions, healthy whole food ingredients and are perfect for both nightly meals and dinner parties too. My sister had recently given me several pounds of freshly caught gulf scallops harvested right off her boat so the first recipe that I made was the “Quick-Sauteed Nantucket Bay Scallops with Shaved Prosciutto Di Parma”. It required only a few ingredients including grapeseed oil, kosher salt, cracked black pepper, dry white wine, butter and thin slices of prosciutto di Parma (I found this at my local Italian speciality market). The resulting dish was scrumptious and was a hit with my entire family including the kids. I will never go back to my former way of making scallops again…..this was delicious! Another favorite recipe is “Nonna’s Stuffed Artichokes”. My husband and I love fresh artichokes but did not know how to make it ourselves. I selected a few lovely artichokes at our farmer’s market and made this recipe using fresh bread crumbs (very easy to make), Romano cheese, garlic and extra virgin olive oil. It was so easy to by following the instructions and the end result was amazing….our first artichokes were a smashing success! I like the set up of this cookbook with chapters dedicated to, “Just Us”, “Having Company,” “More Company”, “Weekends”, “Sundays”, “Celebrations”, and “Alfresco” so you can choose recipes that are most appropriate for the size of your dinner party. With recipes as delicious and enjoyable as the ones including in The Italian Table……..you will start looking for reasons to entertain and get together with family and friends. The Italian Table (SRP $29.95 hardcover) by Ron Suhanosky is available for purchase at Amazon.com and other leading retailers. 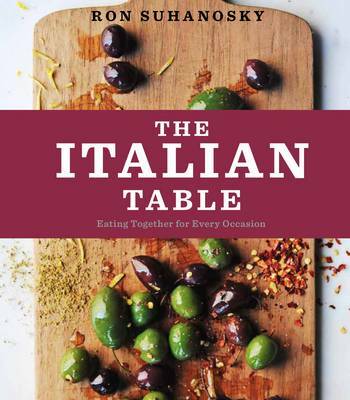 One lucky reader will receive a copy of The Italian Table! I would like to read Clean & Lean Flat Tummy Fast! Yum. Italian food is my favorite! Thanks for the giveaway! Dictionary Series by Linda Flavell and Roger Flavell looks really fun. I would like the cook book cute cakes. I would like the Cute Cookies book. I’d love to read 50 Great Curries on India! The urban Kitchen Gardner looks great as well. This looks like a really delicious helpful cookbook…I think their “Garlic: The Mighty Bulb” would be a perfect companion book. Thanks! The clean and lean diet cookbook looks great for summer! Would love to read Vintage Flowers. Would like to have Less Meat More Veg! I’d love to read “Gorgeous Greens”. I sometimes need a little extra help with inspiration when cooking my veggies. I would like Sunday Roast. The Anti-Aging Beauty Bible sounds like a good read. Gorgeous Suppers looks like a fun one! Sew it Up: A Modern Manual of Practical and Decorative Sewing Techniques by Ruth Singer would be perfect for me. I would also love to have “Italian Comfort Foods”. 50 Ways to Save Water and Energy would be another choice. I like the Thrifty Forager – that sounds like me! I’d like to read Seasonal Spanish Food.